Each Nintendo Direct hammers in a certain theme. The Nintendo Switch will have solid first-party favorites: Pokémon, Metroid Prime, and (finally!) Animal Crossing. And beyond third-party support, the Switch is getting ports of some of the greatest games ever made: Civilization, Fortnite, Minecraft, Diablo, Skyrim, Final Fantasy VII, and Katamari Damacy. Hardware and subsequent performance are a limitation, it's notoriously difficult to develop for, but in spite of this the Nintendo Switch is accumulating a library that will make it the perfect home console. On top of "Nindies" and the classic games that will be coming through the Switch's online subscription service, we're carrying on this tradition. We've picked a handful of games we’d love to see ported, sequel'd, or beautifully remade in HD for the Nintendo Switch, the console that makes us regret having already bought games! The roguelike genre is a perfect fit for the Nintendo Switch, a fact proven by Binding for Isaac and Enter the Gungeon. Notably absent from the Switch the “rogue-lite” platformer Spelunky, released in 2008. Spelunky made its way to handheld via the PlayStation Vita, but Nintendo’s consoles have never felt the love. Sonic Adventure 2 is often regarded as the “best Sonic game,” a statement many fans will fight you over. Some might argue it's Sonic Mania, which has a home on the Switch. Regardless, there’s no denying that Sonic Adventure 2 is a memorable experience for the beloved blue needlehog. Full of twitch action, zany set pieces, dated pop music and the debut of Shadow, the moodier hedgehog. The Sonic Adventure games were ported to the Nintendo GameCube, including a “director’s cut” of Sonic Adventure 2. Lately, Sega’s been showing Nintendo’s hardware as a home for the “SEGA Ages” classic game series, a Virtual Console for Genesis. Series producer Kagasei Shimomura explicitly mentioned that he’d like to see the series expanded to offer “Saturn and Dreamcast” titles, and we're inclined to agree. The award-winning Resident Evil 4 has already been on 11 systems. By comparison Skyrim is on six. When it first debuted, Capcom promised that it would be a GameCube exclusive, a statement that became a baldfaced lie over time. The tension was said to fray the relationship between Nintendo and Capcom the Wii onward, but the two companies appear chummy again. Resident Evil 7 is already coming to the Switch (albeit through some cloud-streaming loopholes), so it makes sense to bring the classic predecessor as well. The game’s then unique over-the-shoulder third person gameplay became a standard across the genre. Square Enix recently revealed that a fistful of classic Final Fantasys would be ported to the Nintendo Switch. Crystal Chronicles, Chocobo's Mystery Dungeon, and all of the entries from the first two PlayStations. Except one. Where the heck is Final Fantasy VIII? Final Fantasy VIII is considerably the underdog of the PlayStation-era games, especially since Final Fantasy IX has seen a resurgence of (well-deserved) love. Final Fantasy VIII features many of the same features as VII before it, and certainly hairstyles. Though it does have a few less-than-popular features, such as the game’s “Draw” and “Junction” systems. Still, with this flood of Final Fantasy titles hitting the Switch, there's a Squall-shaped hole in the lineup. It doesn't look like Konami is in any rush to make a new Metal Gear Solid, at least none that anyone wants. The most we can ask for is a remaster, and why not keep our fingers crossed for the best remaster of all. 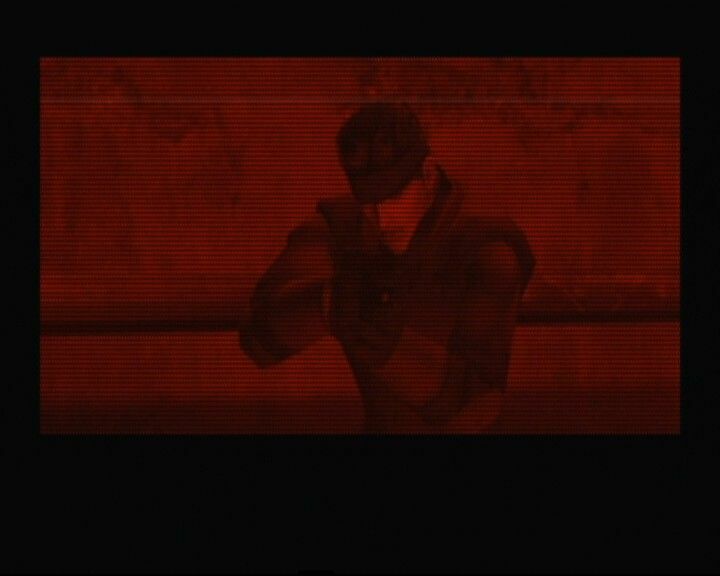 Released in 2004 for the GameCube, Metal Gear Solid: The Twin Snakes was an upgrade to the original MGS to look and play like the contemporary games in the franchise. It was a complete success, wowing critics and solidifying the GameCube as a competing console. A good soldier's work is never over, and it would be a delight to see the memorable remaster re-remastered for the Switch. At the very least we should update Psycho Mantis on which Mario games we've been playing.